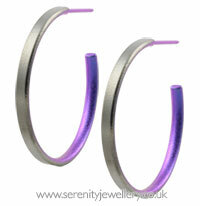 Hypoallergenic Ti2 titanium 3/4 hoop earrings with titanium butterfly backs. 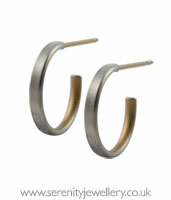 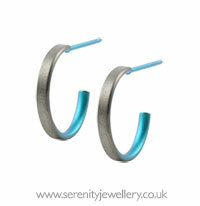 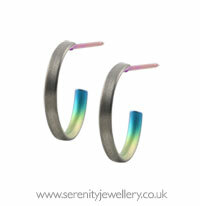 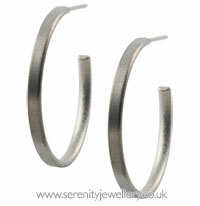 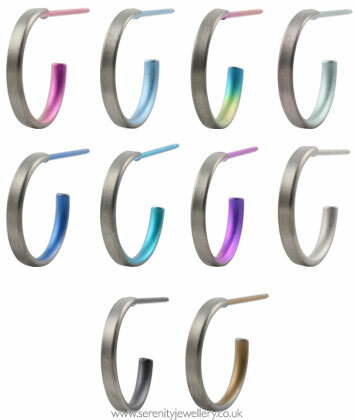 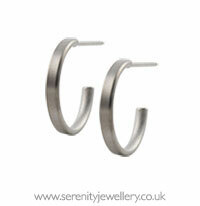 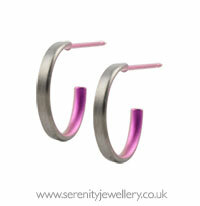 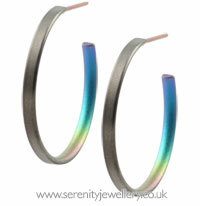 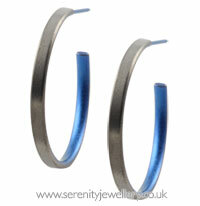 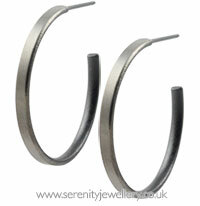 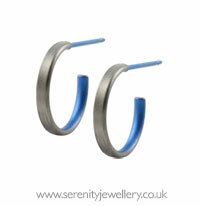 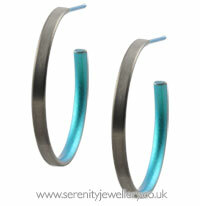 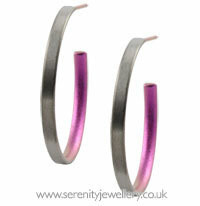 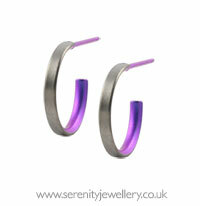 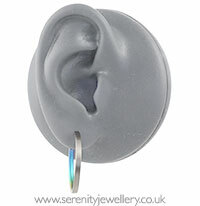 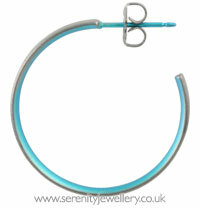 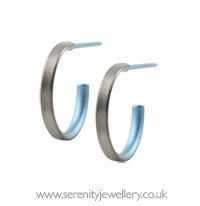 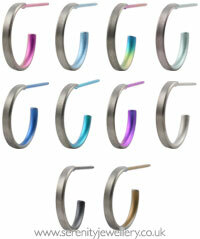 The hoops are natural titanium colour on the outside with anodised colours on the inside. 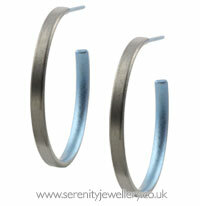 13mm external diameter are 1.5mm wide. 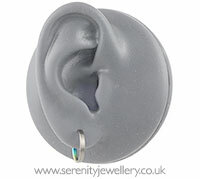 25mm external diameter are 2mm wide.